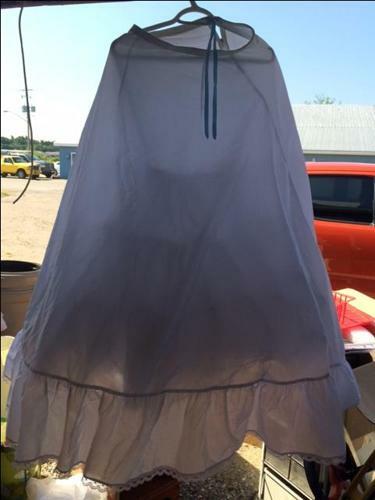 Hi - I am selling a small/medium crinoline. It has a zip up back with a clasp closure. It has a "something blue" ribbon to tie it up. It has very pretty lace trim. It is a little wrinkled right now (has been in a bag in storage), but it is in great shape - worn only once. Can deliver to Pembroke or Renfrew for small gas fee.